The purpose of this discussion paper is to initiate and support a process for developing recommendations and guidance for better addressing women's economic empowerment in M4P (market systems development) projects and programmes. 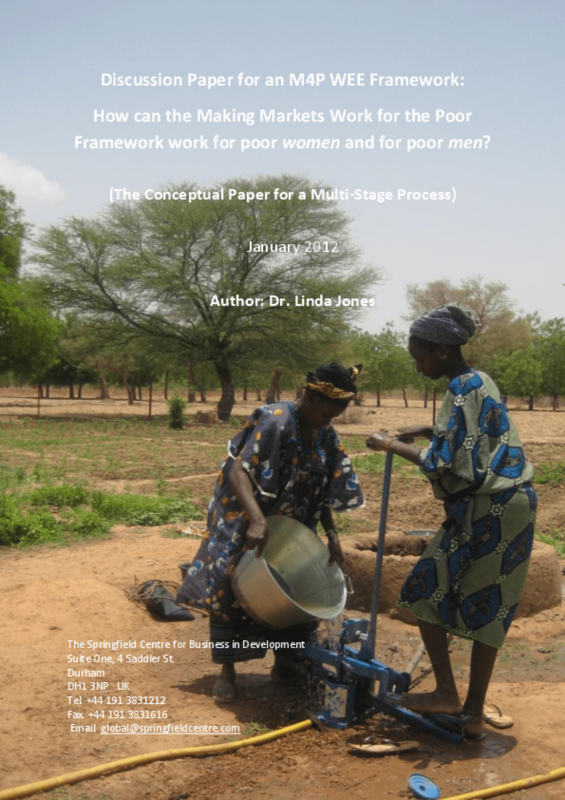 In order to achieve this purpose, this paper first describes the M4P framework; follows with a review of gender and women's economic empowerment literature and frameworks; presents an analysis of the M4P approach from a gendered perspective; and suggests ways that the M4P approach can tackle and provide evidence of women's economic empowerment. Copyright 2012 Springfield Centre for Business in Development.